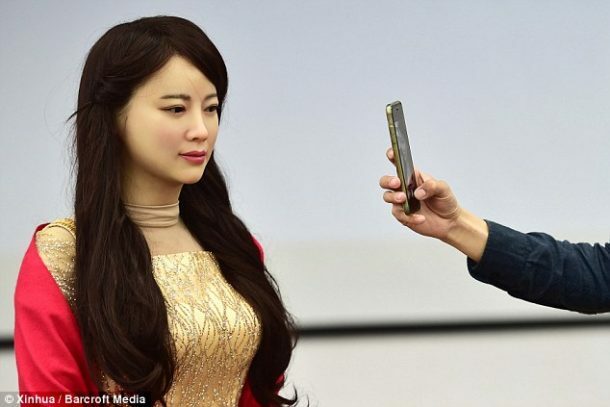 Chen Xiaoping and his colleagues at the University of Science and Technology of China have redefined the word “creepy” as they unveiled an eerily realistic robot called named Jia Jia. Looking incredibly life like, Jia Jia is also capable of talking and interacting with real humans besides realistic facial expressions. 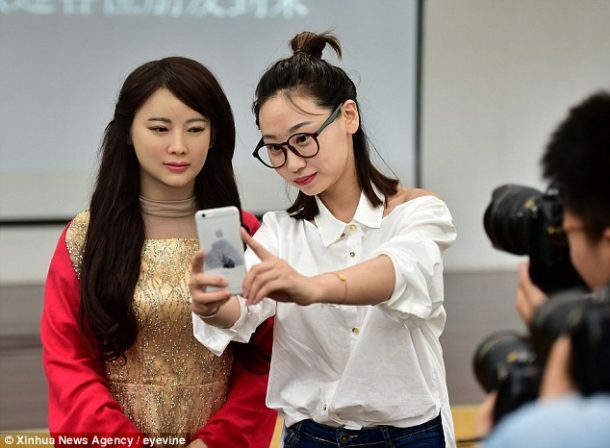 The robot even poses for a picture and comments “Don’t come too close to me when you are taking a picture. It will make my face look fat” to someone who is trying to capture her photo. The team has spent three years on designing the robot and has gone to the intricacies of making its mouth move when speaking and that the eyes relocate and glance around the room naturally. The ‘brain’ consists of essentially a massive online database which connected to a cloud computing platform allowing the robot to enhance its ability to process emotions and speech as more data is uploaded. Researchers hope they can keep improving the model, although they are not looking for mass production at the moment. 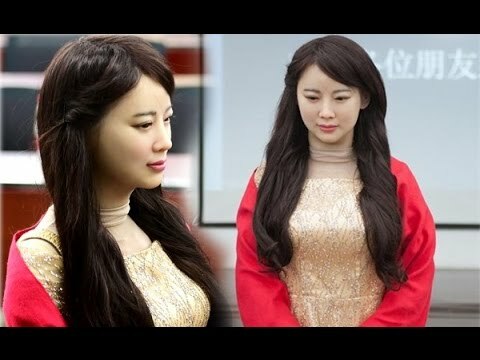 Maybe in a couple of years, we will have these robots walking among us without even recognising them!